How to move the drawer icon left to right in action bar..? I want to place that icon left to right side. Just want to know where should I change code? 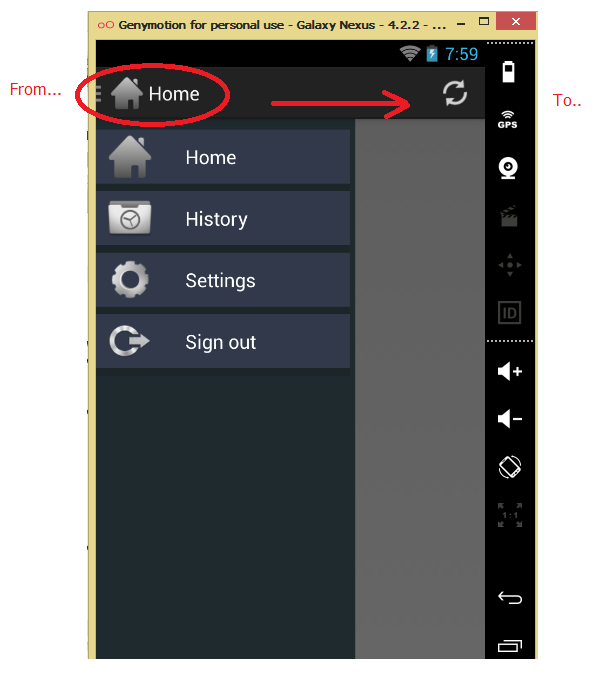 android:layout_gravity="end" //or you can use right also. Not the answer you're looking for? Browse other questions tagged android android-layout android-togglebutton or ask your own question.